Representatives of the development team will present their plans and answer any questions you may have about this proposal. Alderman Reilly will be present at the meeting to monitor the discussion and record your feedback. 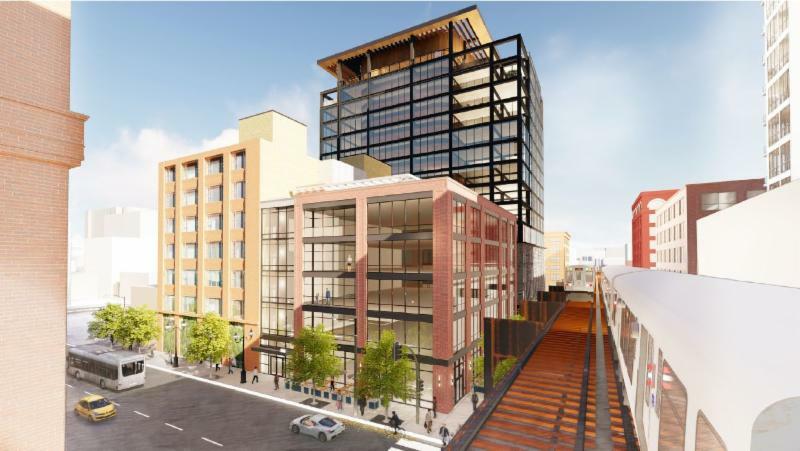 An existing 15,100 SF landsite, with a proposed 15-story / 186′-0″ tall building that will consist of approximately 153,000 SF of new office space, and contain 137 replacement parking spaces. The first floor will be a combination of retail and the building lobby. WHEN: Monday, Apri 15, 2018 at 6:00 p.m.
As you know, Alderman Reilly works hard to provide an open and transparent community review of all local development proposals. This project has not received Alderman Reilly’s support, and this informational meeting is only the beginning of his rigorous, transparent community process. Alderman Reilly looks forward to hearing any concerns and comments you may have about this proposal.